Fog coating your stucco walls can be very helpful if you have old or new stucco that uses a traditional cement-based finish and has either discoloration, inconsistent color throughout the wall or any other type of problem like that. ​Fog coat material is basically a cement like paint that actually becomes a part of the wall itself (unlike standard paint), not a layer on top of the stucco​. Listed ​are some of the common questions regarding fog coating in general ​so you can get a better understanding of what the whole process is like. 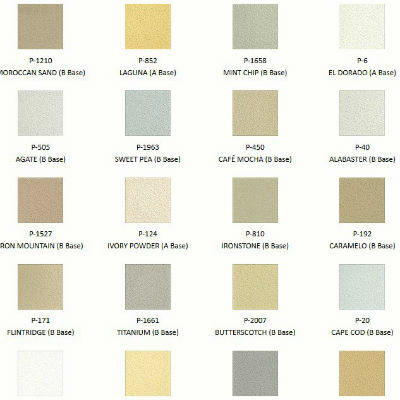 What Is A Stucco Fog Coat? Where Do You Buy Fog Coating Material? Unlike paint, this material actually will become one with the stucco surface and penetrate into the wall. It will not color the stucco all the way through but it will provide a stronger and longer lasting bond than paint ever could. 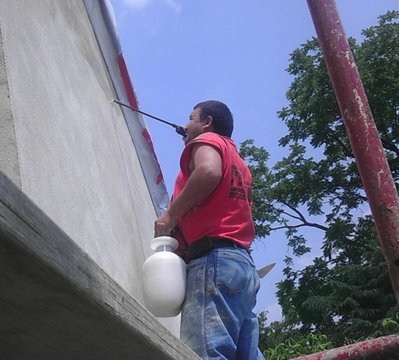 This is only an option if you have a cement-based finish on your stucco home and it cannot be applied over painted surfaces or acrylic or synthetic finishes. Since the fog coating material is somewhat of a specialty item I have only seen it personally at stucco supply yards and have never seen it in a hardware store. I have checked online and noticed that some Lowe’s and Home Depot do carry a La Habra fog coat mix but not all the stores seem to stock them and since the company that makes the product is La Habra stucco, it will only be good for that brands particular colors in their stucco lineup. So here house happens to use another manufacturer’s stucco finish then you may notice that the colors don’t quite add up and are not that closely matched to what you will need. I would recommend: over to your local stucco supply yard to see if they have the manufacturers products that were used on your project. You can use a large brush or a ​lawn and garden type sprayer to apply a fog coat to a stucco wall and having both on hand is a good idea. The sprayer will apply the bulk of the fog coat to the walls and the brush will be used for the finer details, like tighter areas such as gables. I would recommend using a quality backpack sprayer for two main reasons and these are: because the overall capacity of the tank is larger (more consistent color) and the application is hands-free and a lot easier once you get it on your back. 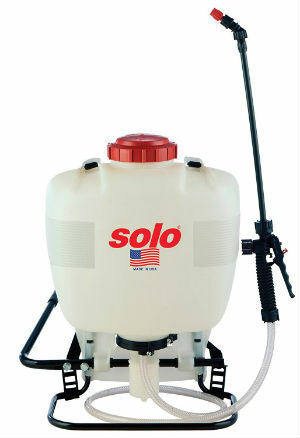 You can use a large tank style sprayer but make sure the tank is larger (if you are spraying a large surface) and you get a quality one that won't have issues every 2 minutes (totally frustrating!). Try to aim for at least a 2 gallon capacity or higher. The cost to fog coat your exterior walls can vary greatly but is really inexpensive compared to all the other aspects of stucco in general. You’re basically painting the outside of the wall using some type of spraying apparatus and the work goes fairly quickly and is quite easy once you get the color matching aspect down. If you do this yourself you can save tons of money but if you’re not confident in doing this you will spend a little bit more hire a contractor to do it. I can’t really give you a square foot cost because all of the different contractors are very different with their bids but what I can tell you is the price of the material on average and that is roughly around $.02-$.10 per square foot. The price will very little that depending on which manufacturers products you are using, how much color has to be added to the mix and other variables like that but that is a pretty good figure and I wanted to throw it out there to show you how cheap the material side of the project is. There are so many different colors the fog coat can actually come in and that really depends on which manufacturers product you are going to use. 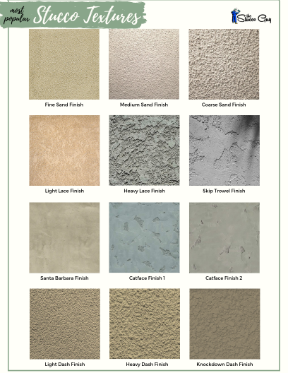 Each manufacturer has their own line of colors for their particular stucco fog coats that directly corresponds to their finish colors in their traditional type of cement-based finishes. So it makes sense that every company would have a fog coat color that matched their finish color. So you take a number of companies that are out there and each one has anywhere from 5 to 20 different colors available and you get a lot of different options. You can actually add more or less color to accommodate a lighter or darker color when you spray it on the wall so this is another variable that comes into play when looking at all of the different colors that a stucco fog coat can potentially have. ​Is There Any Downsides To Fog Coating? - ​There are not really any downsides to fogging in general besides the fact that you will need a sprayer and brush to apply it, which you will have to purchase. There is also a process to mixing and screening the fog coat mix that you must abide by to ensure that the color is consistent and it flows through the sprayer. The sprayer can get clogged with sand particles, even after you screen the material, which can be a downside. Another downside would be the fact that you can only apply fog coat to unpainted, traditional stucco finishes, making it more of a specialty item and not a "general fix" type. ​Can I Fog Coat Painted Stucco? - ​You CAN NOT fog coat painted surfaces. You would have to apply a bonder to the painted surface, apply a skim coat of a traditional type of stucco finish (cement based) and then fog coat that. There would be many other (much better) ways to remedy a painted stucco surface than I just described and would cost less and have a better overall look when it was all said and done too. One of these ways would be to apply a bonder and a pigmented finish coat over the painted stucco surface (after properly cleaning the surface, of course). It would look like new stucco because it essentially would be a fresh, new coat! We also skipped having to fog coat the wall too because the color was added to the finish material as we mixed it up. ​Is ​Painting Or Fog Coating Stucco Better? 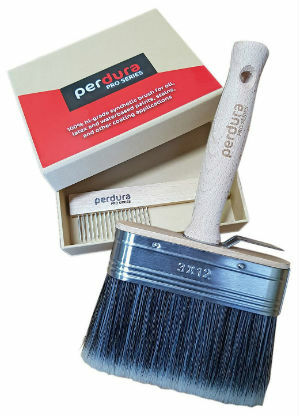 - ​Fog coating is always going to be recommended over painting because of one BIG issue... the maintenance factor! If you fog coat the wall, you will get 20 years or more out of it because it will become an integral part of the stucco itself, not just a top coat. If you paint, however, you will have to repaint every so often (3-7 years on average) taking away that "maintenance-free aspect). The cost is roughly the same too and is quite marginal when comparing the cost of the material, tools that you will need to buy, etc.